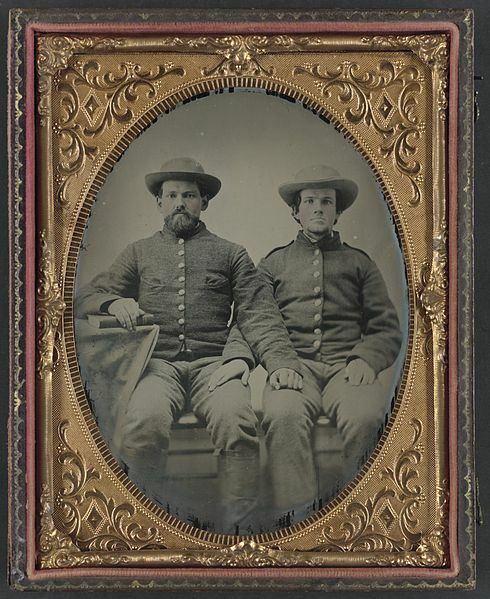 Last week we read about a Union soldier looking at his “long road” beyond Appomattox. Today, we’ll take the Southern point of view. The war was over, but the Confederates had lost. For many of these Southern men, their road home would be more difficult and symbolically longer. The following selection is semi-fictionalized. In other words, it’s based on real history, but these thoughts do not belong to any particular Confederate soldier. The setting is the evening of April 13, 1865 (Lincoln has not been assassinated yet). We’ve lost. Don’t bother with flowery language. Until now, I could always hope for a better day, another victory for our army. But now it’s over. All the grief and regret which I’d keep back cannot be avoided. If we’d won, perhaps we could have justified the sacrifices. But now, we are left with too many questions, too many memories. I’ve buried too many cousins and brothers. We’d believed the war couldn’t last long…that Southern tenacity would win the day. We’d volunteered to defend our homeland from invasion. I know the politicians have their story and their views and I know history may not treat us kindly. But I fought to defend my family. I didn’t even own any slaves and many of the men I fought beside didn’t either. Battlefields now behind us will be the silent monument to us…places were we fought: Manassas, Gaines Mill, Malvern Hill, Sharpsburg, Fredericksburg, Chancellorsville, Gettysburg, Wilderness, Spotsylvania, Cold Harbor, Petersburg, Amelia Springs, Saylor’s Creek, Appomattox. 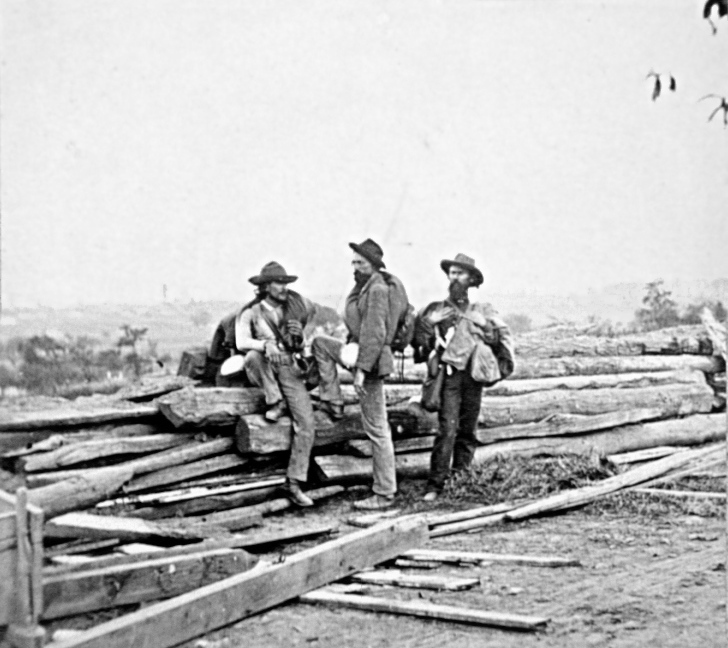 Appomattox: here the armed struggled ended and the road home and the questions began. Faded gray, dusty gray, torn gray – I guess those are ways to describe my uniform. I ain’t got any other clothes. Mother and sisters made it for me at the beginning and it’s been through it all – the forced marches, the charges to single victories. There a tear in the sleeve from the bullet wound last year. It hangs loosely because of the winter of hunger and the reoccurring malaria. The ranks of the company and regiment – indeed of the whole army – are thin, like my gray coat. We soldiers fought to defend our Constitutional rights and our families. We believed we were right and that’s what kept us strong. We were men in gray, following a cross flag. The gun is gone. That weapon had almost become like a friend, I’d had the thing so long. Laid it down yesterday. The war’s over. I don’t really believe it yet. Someday, I’ll realize it. You see, it’s not a desire to kill, a burning anger, or even bitter resentment in my heart…it’s just a feeling of shock, too hard to describe. It seems to strange to think the old bugle won’t call us to the march again…that Gener’l Lee won’t ride the lines again while we cheer…that Old Stonewall won’t sudden return from somewhere far off in the mists of time. Four years establishes new habits and routines and now it’s hard to realize we’ll never be the feared Army of Northern Virginia. The firelight dims, but the embers burn a little longer. It’s like hope. The grand fire of enthusiasm and fight is dead, but in the coals we again find the iron qualities which drew us here first. We’re reminded of what we hold dear: faith, family, home. I can actually go home. That is a single grand reality. Home. Fire refines. Have we been refined? Our lives, our souls, our character have been thrown in the hottest fire of war and defeat. Can we emerge as stronger, better men? But what will be left at home? Haven’t had a letter since late last autumn when Mother said the crops had been burned. Did the girls survive the winter? What will I be going home to? Will my sweetheart still be waiting for me or has the war destroyed her? And then how will the Yankees treat us? Sure, we were paroled, but will they all be kind like those fellows who shared their food with me? We’d never had slaves, but what about the people who did – how will they like doing their own work? And what about the freedmen? Will they be better off in freedom and will the northern people accept them kindly? I don’t have answers. To speak honestly, I mistrust Yankee politicians. It’s a long road home. Looking at my comrades, I know we’ll all face different struggles…to forgive, to forget, to heal, to accept, to reunite. But I guess I’ve learned more as a Rebel soldier than I’d thought…more than shooting and killing. I’ve learned not to give up what’s important to you. The war’s over. I’ll accept that. I ain’t going to keep fighting. It’s over. But I’ll take the courage I’ve gained and go home. I’ll keep my mother and sisters safe again. We’ll plow the ruined fields. We’ll rebuild the barn and expand the house. My gray coat may hang behind the door, hidden from prying eyes, but the manly qualities mastered on battlefields and the hope kindled in this last night can guide this soldier. I’m a soldier in gray, starting the long road home to forgive and rebuild. P.S. 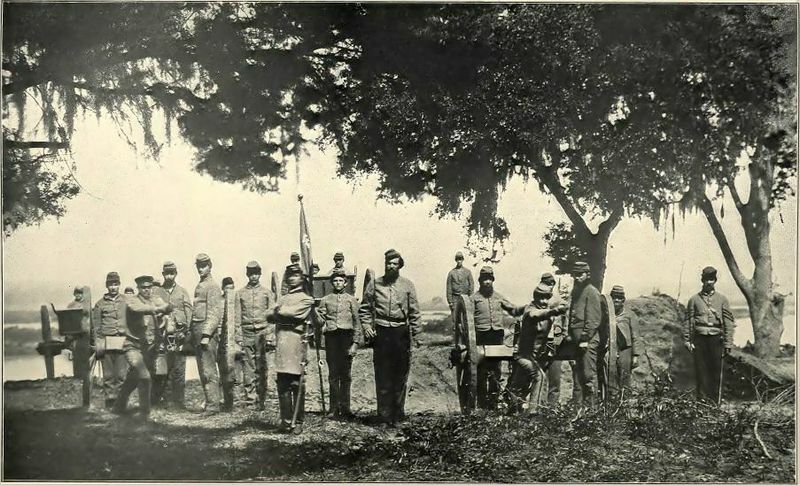 The Confederates faced a harder post war “road.” What other feelings might they have had? Share your thoughts or historical quotes. Next Who Came to Gettysburg? !